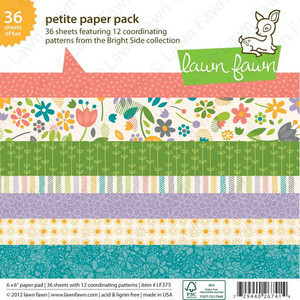 Would you like a chance to win the 6x6 paper pad from Lawn Fawn? Make sure you are following the Lawnscaping Challenges blog and then head on over to Laurel's blog and leave a comment! These papers are so fun and bright! such fun and bright papers. I saw quite a lot projects using the paper pad recently. would love to try too. These papers are too cute! This is such a cute paper collection! What lovely paper. I love the images too! Thanks for a chance to win.